There is no shortage of love here for Lego Bricks. Which is why it’s so much fun seeing all of the different Lego inspired gadgets that have come around. Sure, they are almost always featured in toy stores or in kid’s sections, but that doesn’t mean that we adults can’t love them just as much (if not more). Now there’s one more to add to the list. 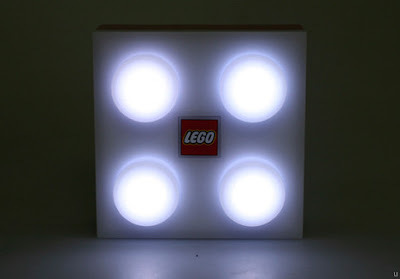 This LED light may not be enough to illuminate a whole room, but it’ll at least give a little light to a darkened corner. These cheap little 2 by 2 bricks are cheap enough that you could afford to stack a few of them if you wanted to make a whole collection. It appears that it comes in red and blue, although we don’t see an option to choose between the two. In order to keep them up and running you’ll need to toss in a few AAA batteries. You can purchase one of these for $22.90 through Brando.